Location: David Disrud Memorial Range on David Disrud farm site. From Rolla, drive two miles west on Hwy 5, two miles north, and one half mile up to farm yard and range. Entries: Preferably seven days or more prior to match. Match entries up to capacity of 32. Match fees: $25 for adults (20 for advanced entries); $15 ($10 for advanced entries for junior shooters. If you are planning to shoot the Annual Bruce Alexander match on Sunday, a package fee of $35.00 is available. Rules: Current NRA High Power Rifle Rules will govern. Rifle: Any rifle (rule 3.2), NRA match rifle (rule 3.3), Palma (rule 3.3.3) or the service rifle. (rule 3.1,3.1.1, 3.1.2) There will also be a separate F-class mid-range championship available. Any rifle, any sight, any reasonable support such as sand bags, bipods, tripods, etc. Caliber limited top less than or equal to .33; rifle fired from the shoulder; no "rail guns", no return to battery guns, etc. no muzzle brakes. For complete rules, log onto NRA’s web site. Classification: The NRA classification system will be used. Unclassified competitors will fire in the master class. Scores from a temporary score record book to establish a classification is acceptable. Course of Fire: Start time at 10:00 a.m. Match 1: 600 yards prone with unlimited sighting shots and 20 shots for record; time limit will be 30 minutes. Any rifle with iron sights. NRA match rifle, service rifle or Palma rifle. "F" and "FTR" classes will fire with conventional high power on "F" class targets. Math 2: 600 yards prone with unlimited sighting shots and 20 shots for record with a time limit of 30 minutes. Any rifle with any sight, NRA match rifle, service rifle, or Palma rifle. Current rules for "F" and "FTR" classes apply. Match 3: 600 yards prone with unlimited sighting shots and 20 shots for record with a time limit of 30 minutes. Any rifle/any sights, NRA match rifle, service rifle, or Palma rifle. Current rules for "F" and "FTR" classes apply. Match 4: The North Dakota Mid-range Championship—an aggregate of matches 1,2, and 3. 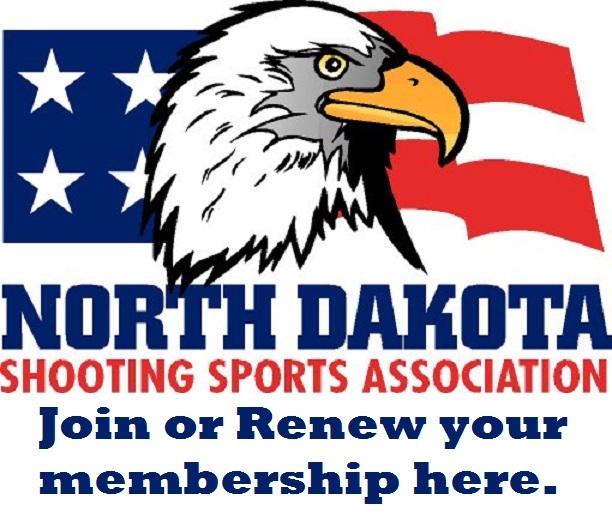 Match 4 The North Dakota Mid-range Championship "F" class—an aggregate of matches 1,2, and 3 using an "F" class rifle. Match 4: The North Dakota Mid-Range Championship FTR class—and aggregate of matches 1,2, and 3, using an FTR rifle, chambered in either .223 or .308.